Lucy Dress — Caroline Z. 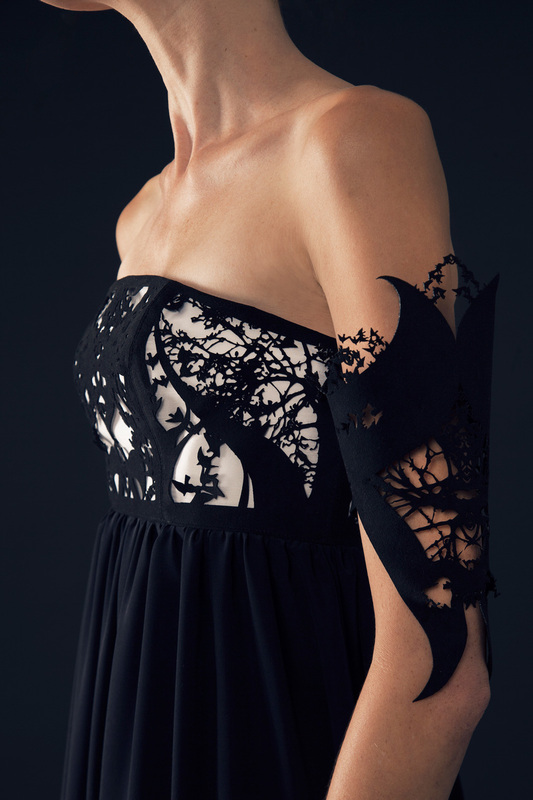 The Lucy Dress is a unique and imposing silhouette, inspired by flocks of birds crossing in the winter sky. This dress uses laser-cut ultrasuede to create a complex bodice and sleeves, paired with a luxurious 100% silk skirt.